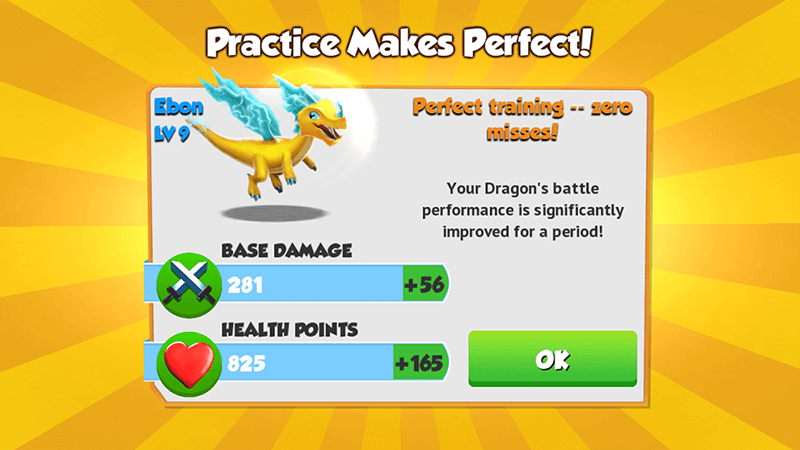 A Dragon can be trained in order to become a Champion with temporarily increased Health and Attack by pressing the button in the screen used for inspecting it inside its Habitat. There can only be one Champion at a time and the stat enhancement will have a duration of 2 hours, provided the training is successful. 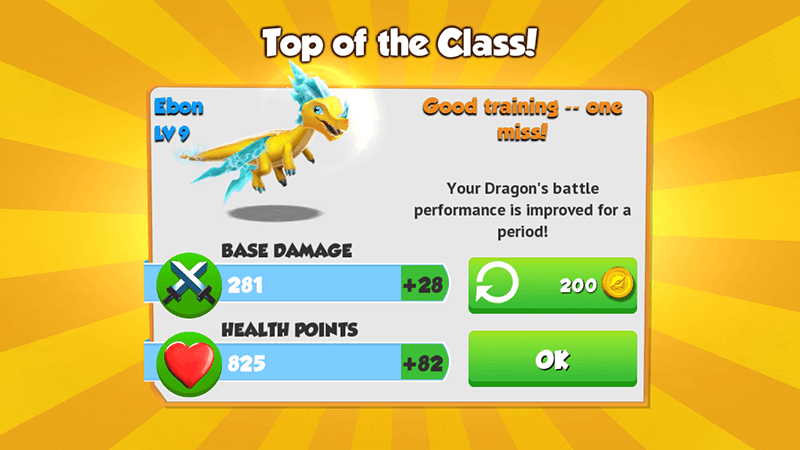 Should another Dragon be trained in that period of time, it will replace the former Dragon as Champion. A Dragon obtains Champion status by practicing firing attacks on Viking Dolls that are lobbed up into the air without missing. While attacking the Viking Dolls, they must avoid hitting randomly lobbed Maiden Dolls, any Maiden Doll that is hit will be counted as a 'miss'. The boost from training can be appreciated when the Trainer battles on the Campaign Map, Clockwork Dungeon, Dragon League and Enchantment League. However, when opposing Trainers encounter the Trainer's trained Dragon in real time, either in the Dragon League or the Enchantment League, the Dragon will not possess the Champion status. Moreover, the training will not be in effect when Dragons are rented by friends. Trainers with an active VIP Status that have achieved VIP Level 3 or higher have the option to train regularly or use the Auto-Training option. 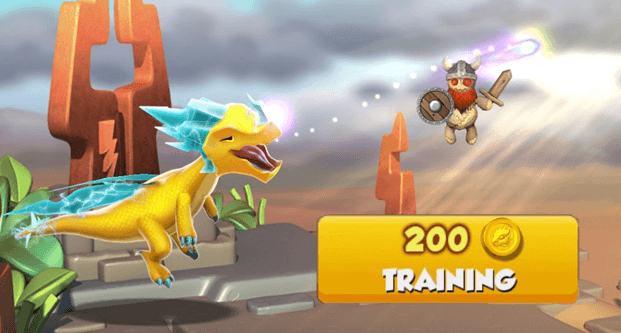 Auto-Training is a feature that allows the Trainer to train a Dragon instantly without the worry of misses as it guarantees a 100% success rate for the training session. It has the same cost as regular training. 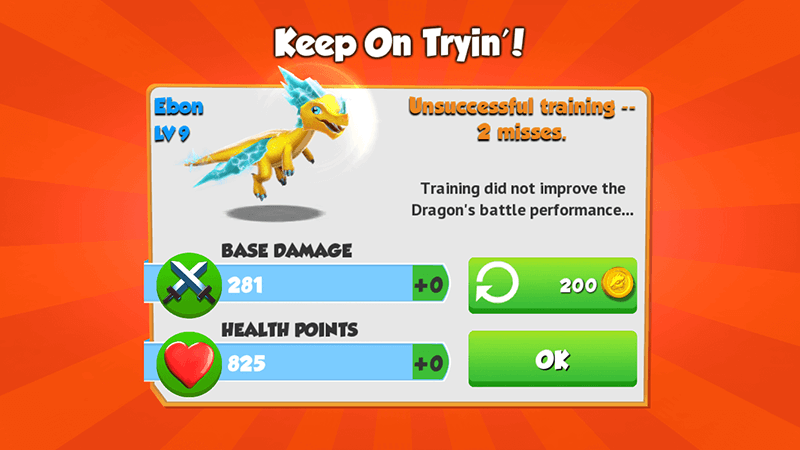 Only Dragons that are Level 4 or higher can be trained. Update 3.2 lowered the VIP Level at which auto-training becomes available. Update 1.1 increased the costs for training. This page was last edited on 7 December 2018, at 10:36.